Now, before I start, there is one very very very important thing you should understand about this book: SCARY SCARY SCARY SCARY SCARY DO NOT READ LATE AT NIGHT SERIOUSLY DO YOU UNDERSTAND? Phew. I’m glad we got that sorted out. Now. . .
As you have probably noticed, this book is titled The Name of the Star, by Maureen Johnson. The main character of this story is Rory Deveaux, who is just arriving in London from Louisiana to attend a difficult boarding school there. And London is starting to become very exciting–violent, gory murders imitating those committed by Jack the Ripper are popping up around the city, and that has to be just a little noteworthy. While at first Rory isn’t that interested, that changes soon enough, especially when one of the murders takes place just a bit too close to home. And here’s where it gets really strange. . .Rory saw a man lurking around that night. She talked to him, even. But even though her roommate was right there, Rory was the only one to see him. And you have to admit, that’s just a bit suspicious. As the murders continue, the people of London are alternately terrified and curious, or both, and Rory’s left to try to solve the mystery of the strange man she saw. Not to mention why she saw him and no one else did. Oh, and it’d be nice if she could stay alive, too. That would be rather nice. I’ve already established that this book is definitely creepy, but it is also definitely good. The characters are unique, and the plot is nice and suspenseful. It’s well-written, and while it would occasionally take me a while to really get into things, it was pretty hard to get out once I did. I’m definitely going to check out the sequel soon! ALSO, as I have mentioned before, this book is very scary, and it has descriptions of gore and violence as well. It’s still a really great book to read, and I liked it a lot, but you should probably keep those things in mind when deciding if you’re going to read it. Anyway, that’s about it! Have a great day everyone! Okay, me continuously apologizing for insanely late posts is probably getting old by now, so I’m just going to jump right in for once. . .
Today’s post is on the book Venom, written by debut Young Adult author Fiona Paul. Cassandra Caravello lives near Renaissance-era Venice, on San Domenico Island, with her elderly Aunt Agnese and a number of servants. And boy, is she restless. The rest of Cass’s life seems to consist mostly of an engagement and marriage to Luca da Peraga, a young man studying in France whom she hasn’t seen in years. The future looks bland and frightening indeed, and Cass honestly isn’t really looking forward to it. At the moment, she doesn’t really feel like she HAS much of a life, period. Until, that is, she discovers the body of a strangled girl in the graveyard near her home. Then things change. Just a bit. Suddenly, Cass is on the trail of a crazed murderer, along with Falco, a young artist who Cass feels more and more attracted to, despite the fact that he’s obviously keeping secrets of his own. And when you catch a boy sneaking around graves late at night, can you really trust him? One thing’s for sure: This story is bursting with detail. It throws you into the world of Venice, complete with masquerade balls, politicians, gossiping nobles, and murky canal waters. It’s original, and the plot is often gripping. The characters are pretty unique, and while I was sometimes annoyed by them (including Cass), overall they were entertaining and well-written. Cass’s character may not be as original as some of the others, but for me it doesn’t really hurt the story as a whole. Even if the writing itself is occasionally less than great, most of it was definitely good and enjoyable. All in all, Venom is a pretty good read, and I would definitely recommend it to Young Adult and mystery lovers. So, what about that sequel? 🙂 Everyone have a great day! In the patriotic spirit of it being the day after President’s Day, I’ve an especially patriotic book to review. It’s written by Judith St. George. Let’s get started, shall we? Ahem. Wouldn’t it be awesome to live in the White House? Sure would, right? Well, that’s what KayKay and Anne Granger thought, until their mom got elected as president of the U.S. Now they hardly ever see her; she’s so busy. Well, soon they realize something pretty intriguing: The White House might be haunted, by none other than Honest Abe, the sixteenth president of the United States. And KayKay intends to figure out if there’s any truth to it. And she drags her little sister Anne into it as well. It’s funny, interesting, and a mystery. Read it even if it’s not President’s Day. Written by Pat Walsh, The Crowfield Curse is a chilling and haunting tale. Maybe not as enthralling as other books I have read, but it is a creative and interesting thing to read. The main character is William, an orphaned boy who is servant to the monks at Crowfield Abbey. When Will rescues a hobgoblin, he learns more about the world of the fay, and the Dark King who used to terrorize it. And things only get more complicated when two very peculiar and strange persons show up at the abbey, a Jacobus Bone and his manservant, Shadlock. Things aren’t always as they seem, William learns, and sometimes these things can be very dangerous. Especially when he discovers a mythical creature lies buried in the forest, and Jacobus Bone and Shadlock seem far too interested. As I said, the book was not as absorbing as others, but the characters and plot are of good quality. 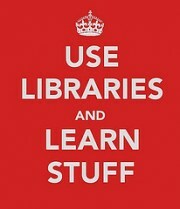 So next time you’re at the library, I recommend you take a look.